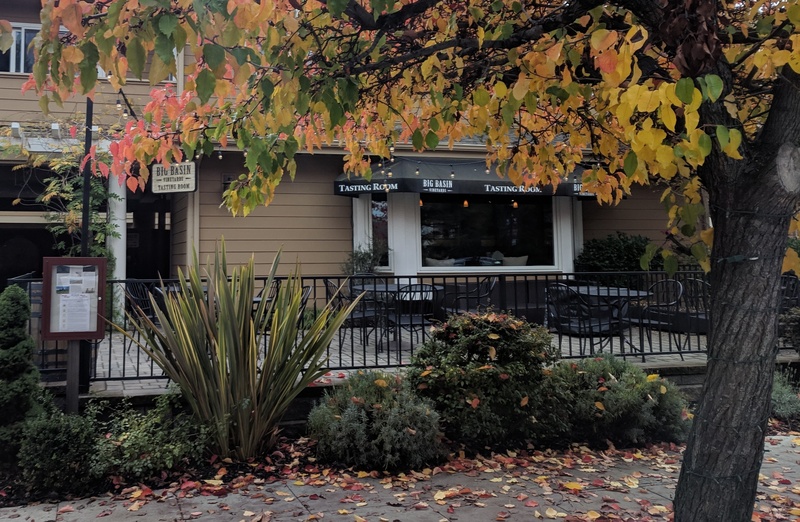 Located in downtown scenic Saratoga, our tasting room offers convenient access to Big Basin wines within walking distance of award winning restaurants, other premier Santa Cruz Mountains winery tasting rooms and other local attractions. 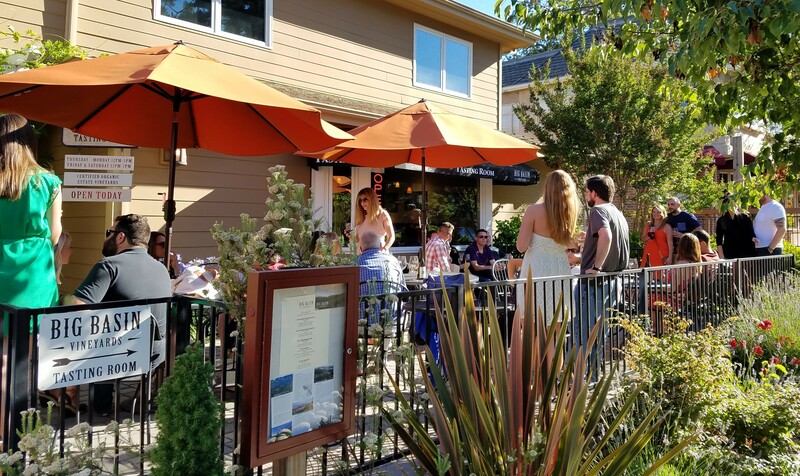 Enjoy a flight of our wine at our redwood bar or on the comfort of our patio. Prepackaged cheese and charcuterie available. Outside food welcome. 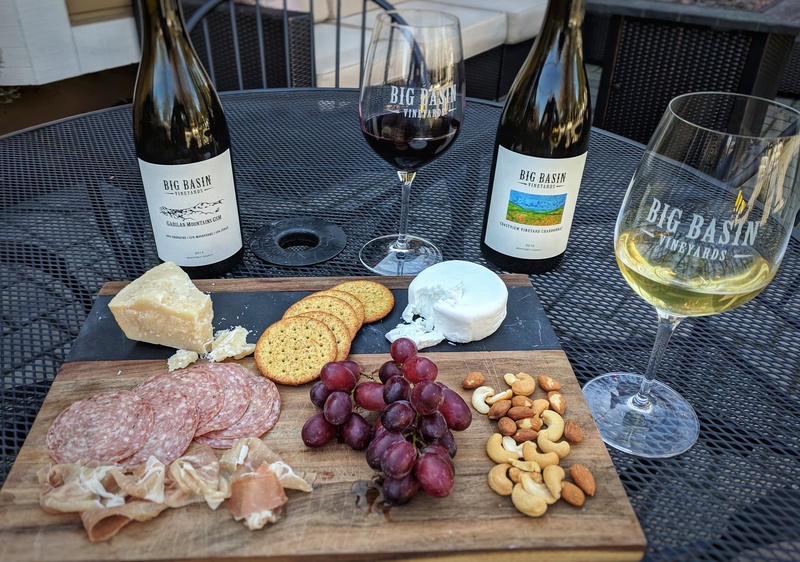 Join us for the perfect introduction to Big Basin wines: our walk-in tasting flight of 5 current release single vineyard and AVA wines. Our knowledgeable and friendly staff will share the details of each wine and answer any questions you might have about the unique characteristics of each vineyard and our winemaking process. Flights are changed regularly. $18 per flight. Waived with 2 bottle purchase. Club members receive 2 complimentary flights. The Connoisseur Experience is an appointment only, focused exploration of Big Basin Vineyards from vine to wine. 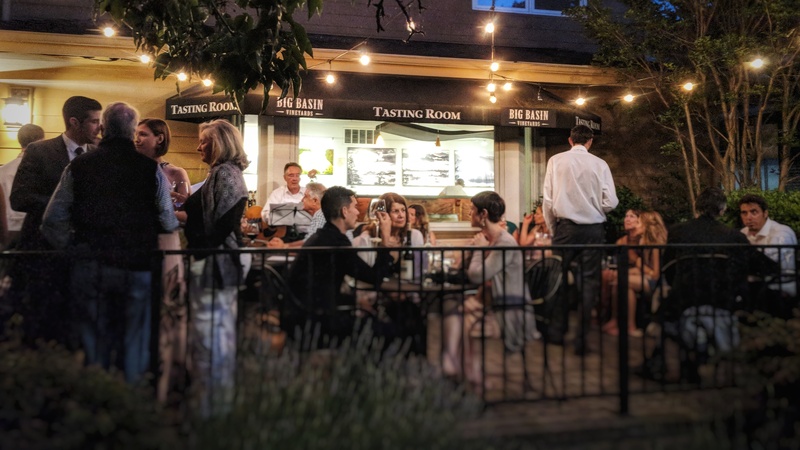 It involves a sit-down comparative tasting of five single-vineyard and library wines paired with cheese and charcuterie. 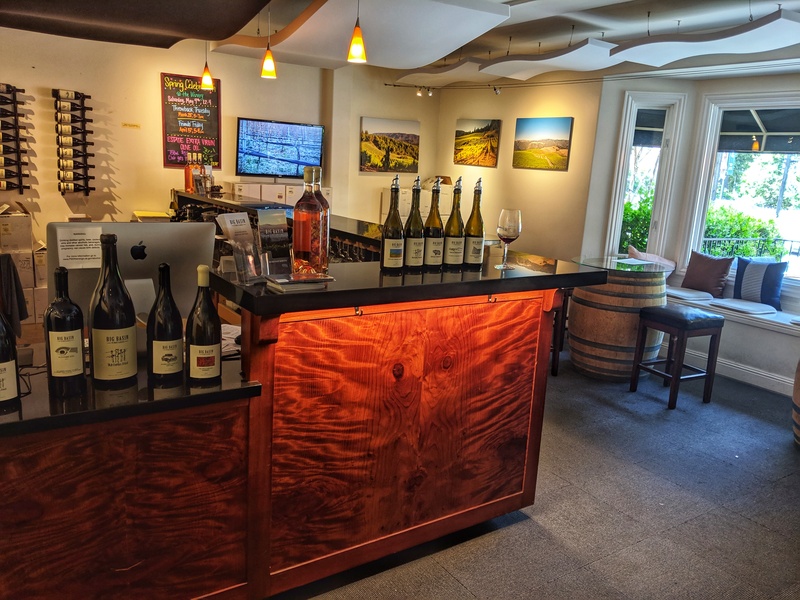 Embark on a virtual tour of the vineyards and winery as Senior Tasting Room associates provide in-depth discussion of the vineyards and winemaking practices. Experience the story behind the wines in your glass, from the history of our vineyards and the unique Santa Cruz Mountains (and Gabilan Mountains) terroir, to our CCOF certified farming practices and our minimal intervention winemaking philosophy.